Smooth skin is always in style. Though there are many ways to remove unwanted body hair, hot wax continues to be a popular choice, thanks to its long-lasting results. Before you decide to book an appointment, consider the possible side effects. 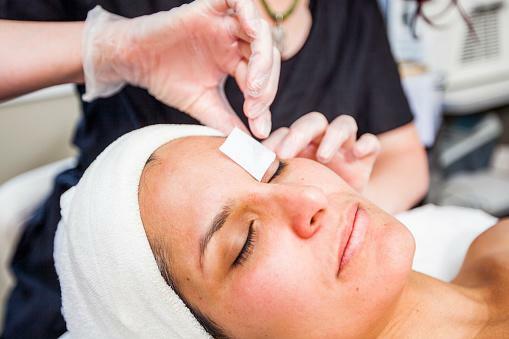 More people are choosing wax for hair removal than ever before. This process removes hair directly from the root, making the results last far longer than shaving. Waxing also exfoliates the skin - resulting in a smoother finish. Despite its popularity, a number of potential side effects are possible. Many of these are common and typically don't require any treatment. Easily the most common side effect of waxing is redness. Almost everyone will experience some form of this following a hot wax session. Some may find the problem more mild (slight pink coloration lasting a few hours) or it may be more severe (a bright red shade that lasts for several hours or even a couple of days). It really depends on the sensitivity of the skin and the area where hair was removed. Inflammation is another issue that can occur following a waxing appointment. This is due to the pulling and tugging associated with the process. (It involves either hard wax or a soft wax strip being pulled from the skin.) The swelling is usually temporary and will go down as the day goes on. Another issue that occurs often is ingrown hairs. This happens following other hair removal methods as well, such as shaving and epilators. However, it can also take place after using wax. The reason for this, according to licensed cosmetologist Naomi Torres, is that the hair follicle is not always pulled from the root. Sometimes, the wax breaks the hair instead. This is especially common in difficult places like the bikini area and underarms. Since ingrown hairs can be uncomfortable and unattractive, it is important to take care of the skin before and after any type of hair removal. After all, the last thing you want is for the area to become infected. For best results, focus on tried and true treatment methods. It isn't just ingrown hair that can become infected. In some cases, so can the skin itself. This is far less common, but it happens more often than you'd think. There are a few different reasons it occurs. For instance, infections can be caused by unclean or bacteria-ridden waxing products, as well as pre-existing medical conditions, such as diabetes. Something else to consider is location. Certain areas of the body are more likely to become infected. According to dermatologist Whitney Bowe, MD, one of potential dangers related to hair removal is infection. She says the process of waxing opens up the pores, which can increase the risk of getting an infection. While many people leave the salon with gorgeous skin, others wind up looking black and blue. Bruising happens when the waxer is inexperienced or is using the wrong technique (the skin should be held taut to prevent bruises), when you take blood thinning medication (this increases the likelihood of a bruise), and when you have exfoliated the waxed area (same-day exfoliation increases your risk). There are many ways to prevent bruising from waxing, so take care of your skin beforehand. It is also important to choose a qualified professional with hands-on experience and proper certification. Issues like rashes and red bumps are fairly common following a wax. This is especially true if you have sensitive skin or had hair removed from a delicate area. These post-appointment problems tend to show up soon afterwards and go away after a couple of days. Though they often occur following your first few waxing sessions, long-time waxers can still experience these side effects. 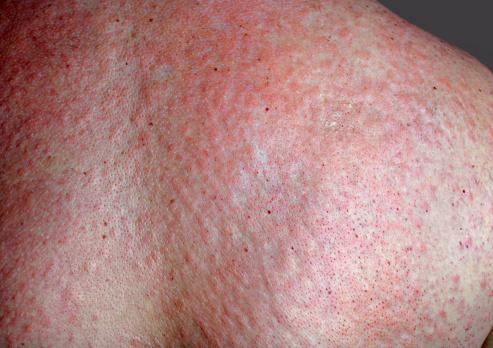 Redness and bumps are typically caused by irritation and should go away on their own. Just to be safe though, always leave a couple of days between a wax and your next beach day. Another side effect to watch out for is a burn. The skin may become burned, painful, and even scab over. This typically occurs when the wax is too hot or is applied incorrectly. While a professional should know how to maintain the appropriate temperature, burns may happen. It can also occur thanks to certain medications and pre-existing medical conditions. Additionally, burns following a wax can be related to the use of specific products. Some products, such as anti-aging or acne creams with retinoid increase the risk of the skin becoming burned. Are you new to waxing? Then there is a chance you may be allergic to the ingredients. Though this is considered a rare side effect of waxing, it does happen, and it can be serious. It depends entirely on the severity of the allergy - but reactions range from mild to severe, with issues such as skin rashes, folliculitis, and pustules taking place. Do a test patch before you book yourself for a full-blown wax session. (Particularly if you have sensitivity or have experienced a reaction to hair removal in the past.) This will help you avoid a potentially painful experience. If an allergic reaction does occur, visit your doctor as soon as possible to obtain proper medical treatment. One unexpected side effect of using hot wax over a long period of time is a loss of elasticity. Since the process of waxing involves pulling at the skin, the repeated action can cause it to become loose and wrinkled. This premature aging can happen anywhere wax is applied, but appears more obviously on delicate areas, like the eyebrows and eye area. A Cosmopolitan article about waxing myths discusses this issue, highlighting the importance of choosing a good technician. Someone with proper training and experience will hold the skin as taut as possible. This reduces the amount of tugging that takes place, making loose skin far less likely. Never leave things to chance. To prevent these side effects from causing discomfort or embarrassment, take pro-active steps now. Use a pain reliever thirty to sixty minutes before your appointment. Something like Tylenol or Advil has been found to dull the pain and make waxing easier to get through, according to Real Self. This step can also prevent unsightly bruises. Make exfoliation part of your before and after. A day ahead of your appointment, exfoliate the area that will be waxed. Two days after your waxing appointment, exfoliate again. Be sure to do this regularly to prevent issues like ingrown hairs. Keep freshly waxed skin out of the sun for a full 24 hours to minimize side effects and prevent burns. Tanning beds, saunas, and steam rooms should also be avoided. Following your wax, use ice packs and cold compresses to help treat any redness. Lotions that are soothing and cooling (think aloe-vera gel) are also helpful. Do research on the salon you will be going to. The simplest way to avoid a problem is to look into the qualifications of the technicians, read online reviews, and ask questions. (For example, how long has the salon been open, if the owner is regularly on the property, what are the cleaning and sanitization practises, and so on.) The more you know, the better. No one wants to deal with side effects like redness, pain, and bruising. To enjoy soft, smooth skin day after day, focus on prevention and appropriate after care. Your skin will thank you!